Even though this product does remove my makeup decently. 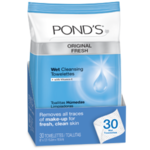 I needed to always cleansed otherwise I could see little pockets of makeup in my dry or pore areas. Also, this actually makes my skin feel as if it's burning. Every time I used them it would burn or sting. And it leaves me with a red greasy face. Lastly it drys me out more than I already am so I won't use this again. These have been my go to make up remover for years. The make up wipes work well but can dry out your skin if you are using them frequently. I buy them every week! 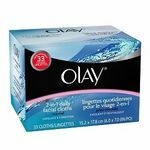 I use these wipes everyday, easy to use, they do remove everything but I still wipe my face down with a damp face eraser just to remove any excess before doing my routine. They're also very travel friendly. These are the only make up removed I've used when I use to do my make up. They work, never had a problem with them at all. 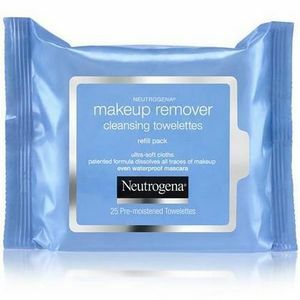 These wipes do work at removing your make up. They don't have a strong smell and don't bother my sensitive skin. The wipes are bigger than a lot of other wipes I have tried. My only complaint is my skin feels a little greasy after using. Sometimes I like to just take my make up off and go to bed without washing my face...I know I know. But when you're exhausted you just want a quick fix. 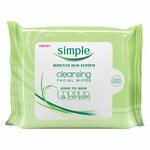 These wipes make my skin feel greasy/slimy so I always wash my face after using them. These makeup remover wipes are good! they remove all my makeup easily without causing breakouts or irritation. it smells good and feels good on my skin! 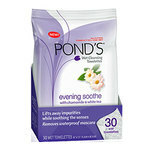 I use this wipe prominently at night after a longs day of work. It wipes me clean of the hussle and bustle. Get you some.